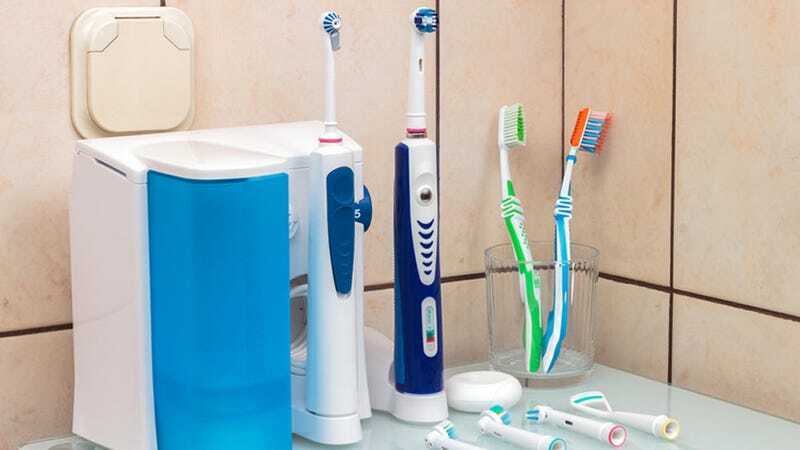 Do You Use Hygiene Gadgets? I was at a friend's house the other day and I noticed that she and her roommates all use electric toothbrushes. There were three of them charging in a row on the windowsill. With all the electric razors, bathroom scales, hairdryers and weird electric face cleansing scrubby things out there I started wondering if I should be smart-primping too. What are the advantages to plugging in? Go through your morning routine below.